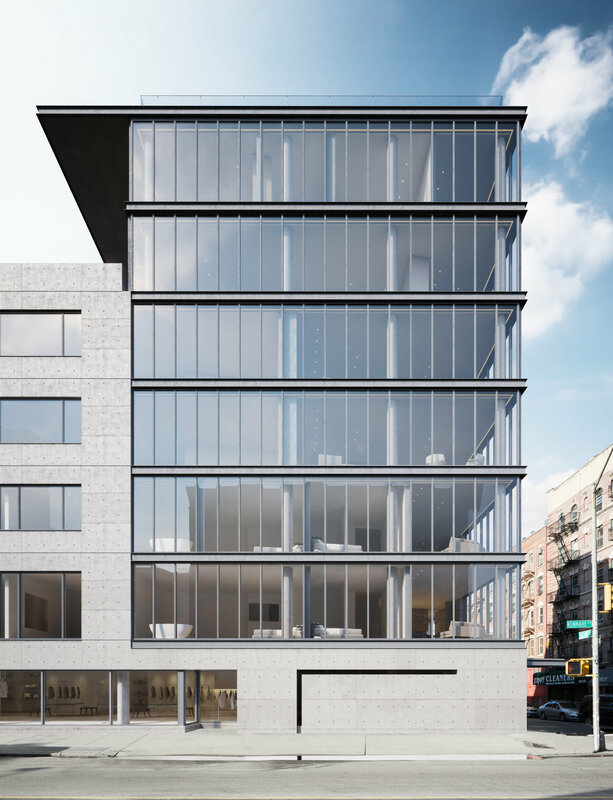 The lovely 19th century building at the corner of Prince and Mott Streets in Nolita has been an orphanage, a school, and a convent, but now a developer has begun transforming the landmarked structure into condos. 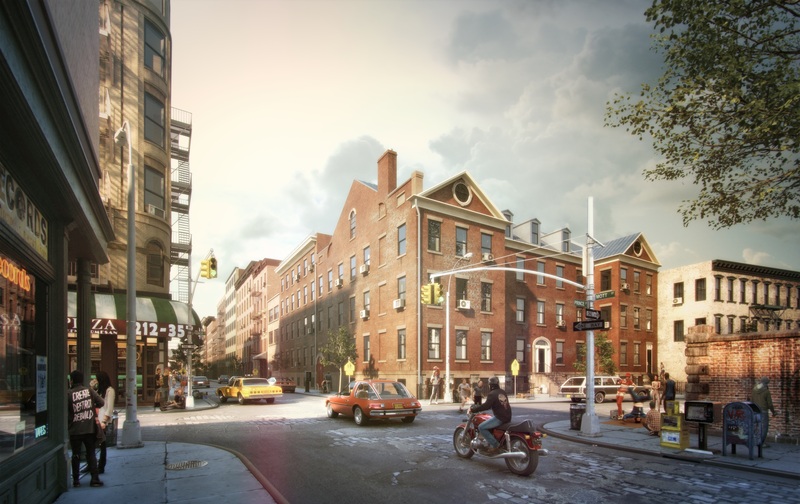 YIMBY has a new rendering of the structure’s restored facade, as well as a series of images based on historic photographs of the property at 34 Prince Street. 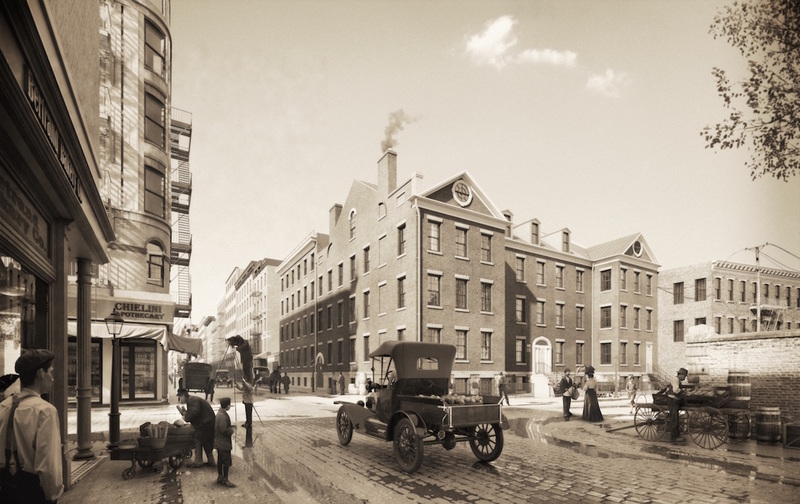 The 1825 brick building is the former St. Patrick’s Old Cathedral School, and it’s part of the St. Patrick’s Cathedral complex, which encompasses the landmarked church on Mulberry Street. 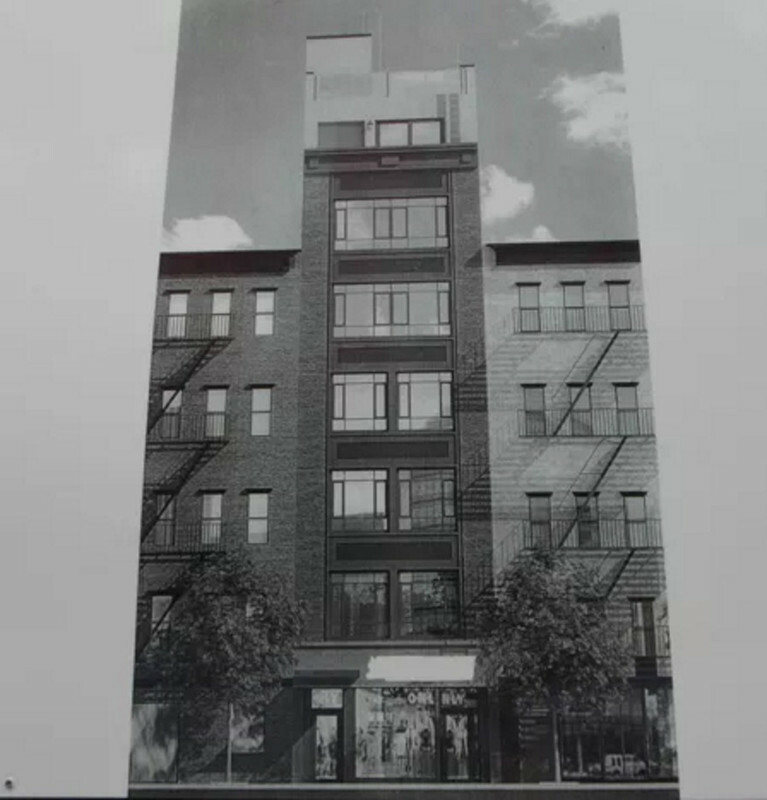 Today, the new owners launched a teaser site for the condo conversion, and they’ve named it The Residences at Prince. 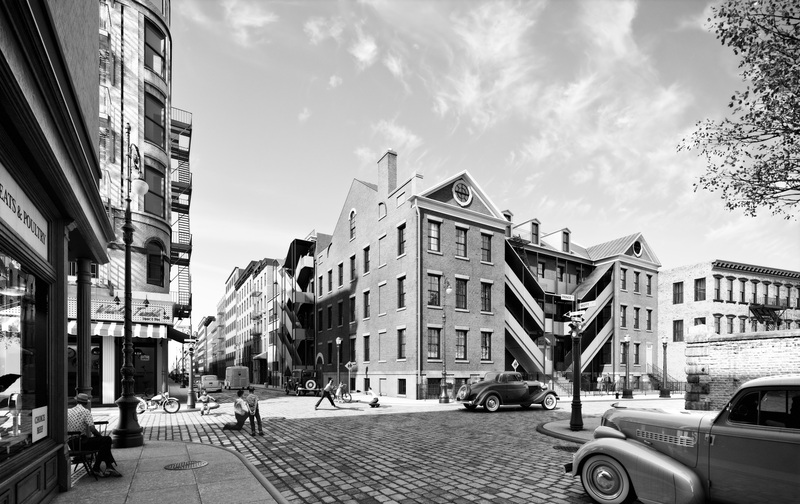 The renovated property will hold seven condos and a townhouse, and a second, new townhouse will be constructed as an addition to the old building. The church will occupy a 6,100-square-foot community facility space on the ground floor. The attorney general hasn’t approved the project’s offering plan yet, but pricing will start at $7,740,000. Construction began in April, and sales are set to begin in the next few weeks. 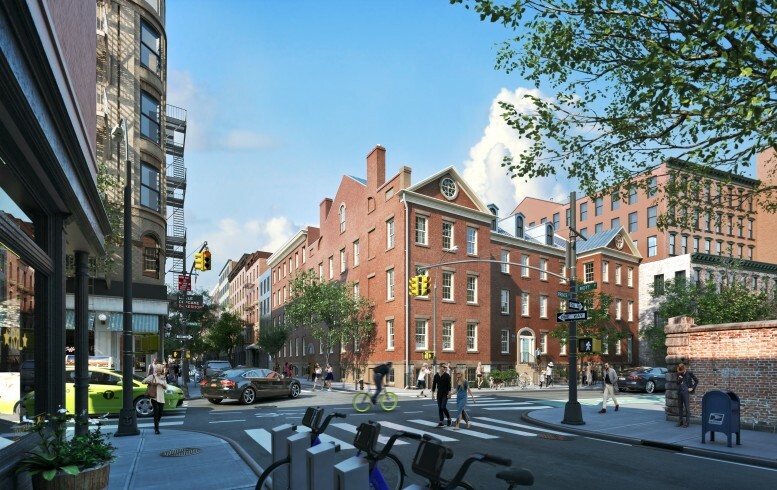 Since the property is landmarked, the developers plan to restore the exterior and preserve a few historic details inside. Jonathan Marvel Architects is handling the design. Hamlin Ventures and Time Equities bought the 48,000-square-foot building for $30,700,000 last year, only a few days after the archdiocese announced that it would close 31 churches citywide. The Archdiocese of New York closed the school in 2010, after attendance had dwindled to just 129 students. The cash-strapped church likely used the proceeds from the sale to help fund the restoration of St. Patrick’s Cathedral, which dates back to 1808.